In Australia, it’s estimated that one in six couples suffer from infertility, which is a heck-load when you think about it, yet no one really wants to talk about it. And trust me – I completely understand why. When you first decide you would like to bring a bundle of joy into the world you tend to keep it fairly private. You imagine breaking the news to your elated parents and friends, and there being hugs and kisses and joy and rainbows all round. If the people around you already know that you’re trying some of that magic will just disappear. So what happens when it doesn’t happen? This is where it gets tricky. As you get slammed down each month (rather inhumanely by a Carrie-style blood bath) your anxiety and depression levels grow. I remember I spent our entire first year wedding anniversary sobbing. We had been trying for six months and I had hoped it would be a day to celebrate the new life our love had created. It wasn’t. It was a day where a new, unperceived darkening reality was beginning to envelop us. 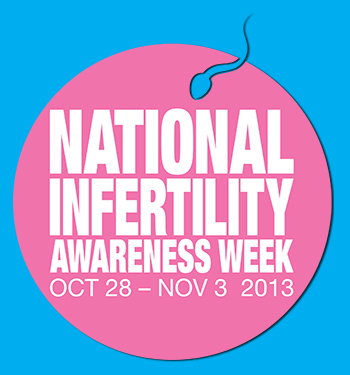 There are so many misconceptions about infertility it’s hard to know where to start. The reality is if someone shares with you their struggle to conceive they have probably already been trying for quite some time, and they’ve probably read every solution Google has to offer. While (most) people don’t have bad intentions – trust me, there are some that just love to stick the knife in – many of the things that people say reinforce messages of blame or shame back to the couple who are already heavy with feelings of failure. I was planning on including a big list of all the comments I find hurtful but then I came across an article that did it a lot more sensitively than I ever could. The “Infertility Etiquette” guide on the National Infertility Association’s website is a really helpful tool if you are struggling to know how to respond to a friend’s infertility. It spells out what not to say, but also explains why not in great detail. Believe it or not people do actually feel entitled to say things like: “Maybe you are just not meant to be parents” to which my response would be more likely to involve slapping the fertile, smugness off their self-righteous faces than the well-reasoned response given in the article, so I do really encourage reading it.